As you may know, my next novel, THIS SONG WILL SAVE YOUR LIFE (coming out this fall) is about a 16-year-old girl who becomes a DJ sensation. Writing this book made me even more interested in DJ and nightlife culture than I already was, so tonight I took a class at the Brooklyn Brainery about the history of the DJ. Do you want to know one of the things we learned in this class? That the world’s first radio DJ was 16 years old at the time! His name was Ray Newby, and in 1909, he became the first person to play a record on the air. This is so cool for me. I love knowing that my protagonist is just one in a long line of teen DJs! I’m on a reading-books-for-adults kick, apparently, because not only did I just finish The Borrower, but I also recently read The Casual Vacancy (which, as you may recall, I got when I saw J.K. Rowling speak at Lincoln Center). I feel bad saying this because I love J.K. so much, and I don’t want to hurt her feelings (should she by chance stumble across leilasales.com), but: I did not like The Casual Vacancy. I really did not. I read the whole thing out of respect for J.K.’s work, and because– I will say this in its favor– I did want to know how the story ended. (Answer: not well, for anyone involved.) But had it been a manuscript submission, I would have stopped reading and rejected it long before that point. This novel was everything I say I don’t like about adult fiction: loveless marriages, parents who resent their children, children who don’t respect their parents, the idea that all perceived friendship or love is just an illusion, the impossibility of meaningful hope or happy endings for anyone. That’s why I love kids’ books, by the way: because there has to be hope, and the possibility that someday, somehow, things will end happily. The artist is not the art. You ought not judge a person by the work he or she creates, nor can you judge the work by its creator. I’ve heard arguments that The Sun Also Rises isn’t a good book because Ernest Hemingway was a misogynist and a drunk. I’ve heard that Atlas Shrugged isn’t a good book because Ayn Rand was an Objectivist. One of my top five writers of all time, Oscar Wilde, wrote about this idea a fair amount. Of course now that I’ve said that, I can’t find any of his famous lines about it. But I remember being in high school and first reading his theories that the artist and his creation are two separate things, to be judged separately. That resonated with me. It still does. 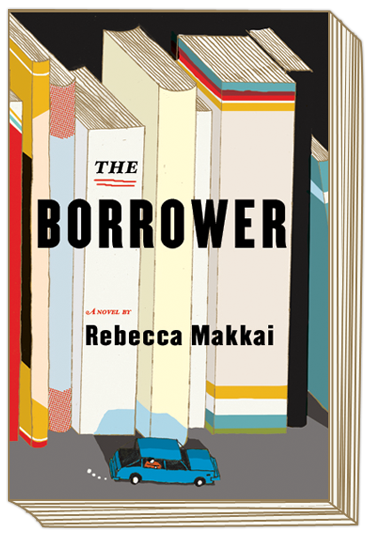 I just finished reading The Borrower by Rebecca Makkai. The protagonist is a children’s librarian, and for that reason alone, I wanted to read it. Bonus: it turned out to be very funny and wise and suspenseful; the sort of book for adults that I actually like.